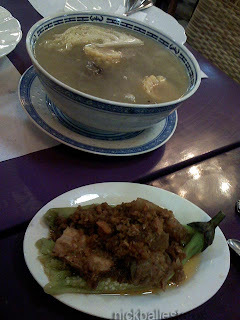 The word "Mangan" which means "eat", is one of the words that has a universal meaning for many regions in the country. 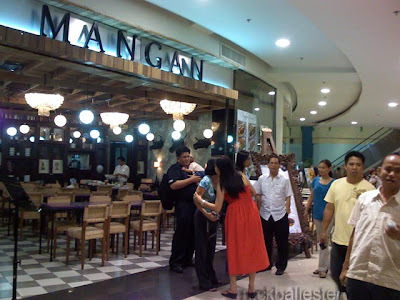 Whether you are Ilocano or Kapampangan or Pangasinense for example, mangan means the same thing. Amazing, isn't it? 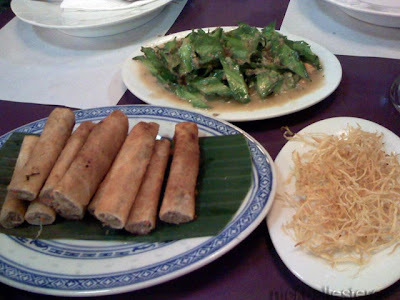 I like to think that food is truly a passion amongst Filipinos, and "mangan" is one of those words that unify us. The Filipino restaurant with this name is actually Kapampangan in origin. "Mangan tamu": these words grace the entrance as it invites people to have a seat and take a break from their hectic mall life. On this occasion, I met with fellow bloggers at the Mall of Asia to meet and catch up (as if we don't do that already in our blogs! haha. Of course, nothing beats meeting face to face occasionally). 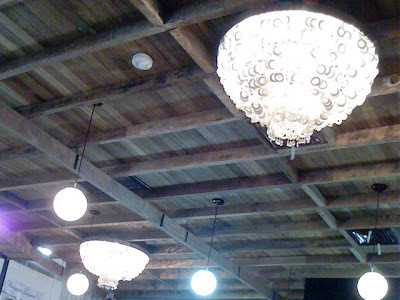 We chose Mangan for our venue. 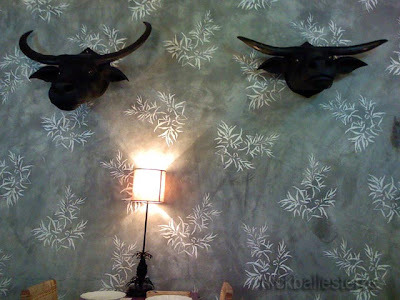 The ambience and food is really great! Rows upon rows of books fill up one wall. Right next to it are huge, full-length framed mirrors. 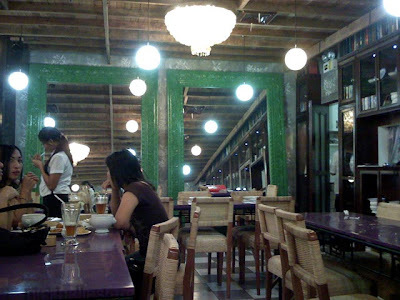 And the ceiling is made of wooden planks which remind you of those old houses where the "sahig" was still being cleaned by using the "bunot" from coconut husks. 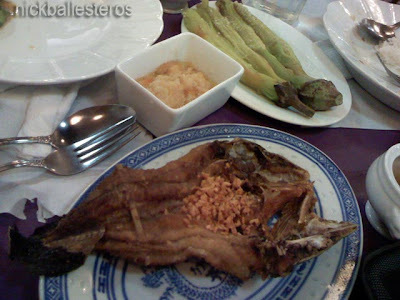 There was bulalo with corn on the cob and pechay... steamed eggplant, lumpiang bangus (a house specialty! 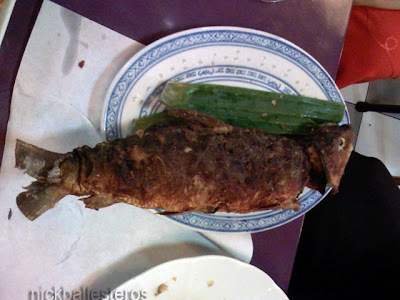 ), deep fried fish, sinigang, rellenong bangus, guinataang sigarillas ... I wonder how I managed to fit all these into my tummy! 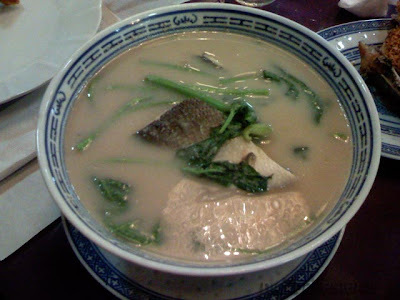 I always hear some of my housemates say mangan tayon, which I take as Ilocano? This must be really good, Kapampangans are known for being good cooks and for not having one dish to serve during meal time, as in fiesta! 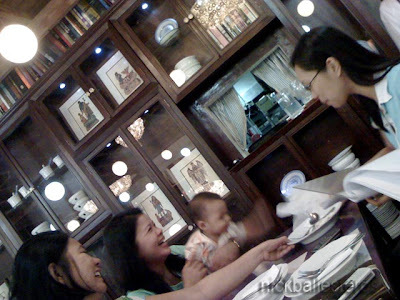 nakakainggit talaga kayo o, what could be better than good food shared with good friends! yung sigarilyas, tagal ko nang hindi nakatikim nun. 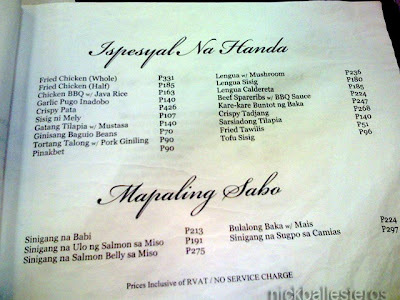 Nakita ko na yang "Mangan" na yan sa SM Sn Fdo yata (not sure) pero di kami napasok, dami kasing resto sa atin, lahat sarap kainan. recently ko lang rin ulit na-a-appreciate ang sigarilyas! Yah! They have 5 branches to date (01/28/2010). SM Mall of Asia, SM North Edsa, SM Sta. 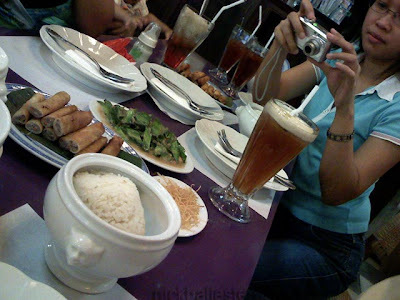 Rosa, Robinsons Ermita & Robinsons Galleria..